French home cooking lesson is available. My husband, engineer, I, teacher, at the university. We love travelling. We are happy to help you to make your stay easier here. We speak French, English & Japanese. We also have a house on the Omaha Beach, Normandy landing, sea front.3500m²(4185yd², 86,850ft²) garden with a tennis court. The site of "Saving Private Ryan" by Spieberg. 2H by train, 3H by car from Paris. We will send you the detail on request. Monthly rate available for 1100 EUR per person. 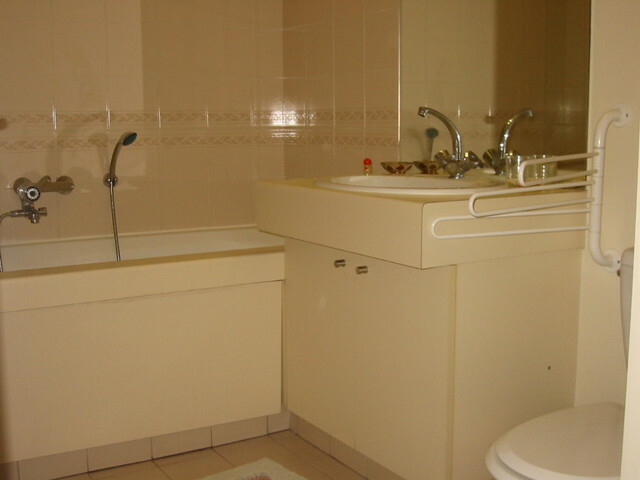 two persons: 75EUR/day, +520EUR/week, 1600EUR/month. Breakfast on request for 5EUR per person. My husband, French, I, Japanese. Located in the CENTER of Paris,12th district, a very safe area & metro lines. 1 zone ticket. Quiet, patio with trees & flowers. We live on the same floor of the building just in front of the flat. 10min from Opera Bastille, 15min to Opera avenue (Opera Garnier), direct line to Alliance Française (15min ride),　close to the Bercy village, fashionable spot in Paris next to the Bercy Park, close to Viaduc des Arts( all the traditional or modern artists ateliers and shops. 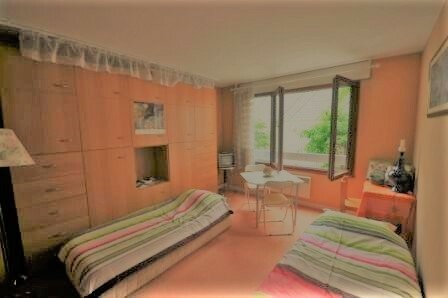 eg:tapestry, cristal chandellia etc), close to Ministry of Finance, 3 bus stops from Gare de Lyon where Air France airport shuttle arrives, 10min walk to the Seine River & Francois Mitterand National Library,15min walk to the Vincennes forest. 30min by metro to Champs Elysees. Easy access to the RER station leaving for Chateau de Versailles(1h) and Disneyland(45min).